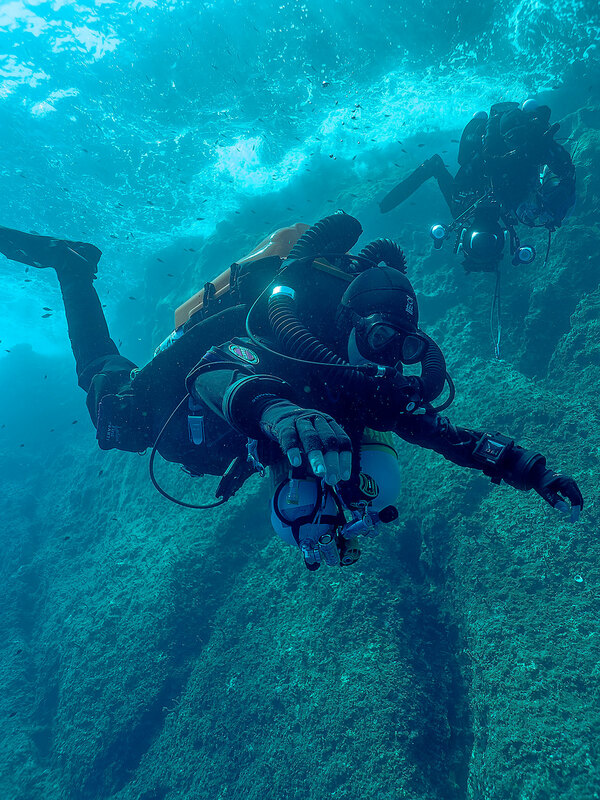 Right now this is surely the dive team of the century, Their exploits will be making stories a hundred years from now – just like the original divers who found the wreck in 1900. 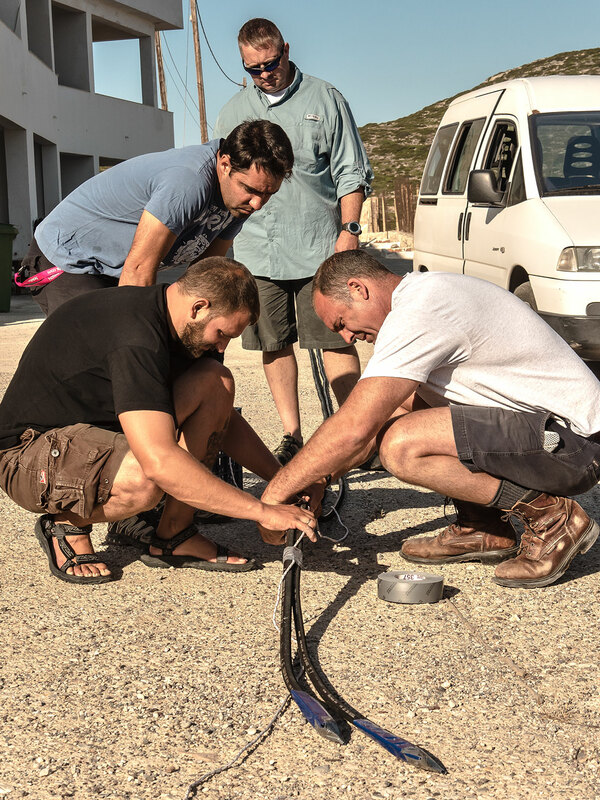 This is the team of Greek and international divers that as of this date are excavating into the sands of Antikythera. Front: John Fardoulis, Phil Short. Middle: Gemma Smith, Alex Tourtas, Brendan Foley, Alexandros Sotiriou. 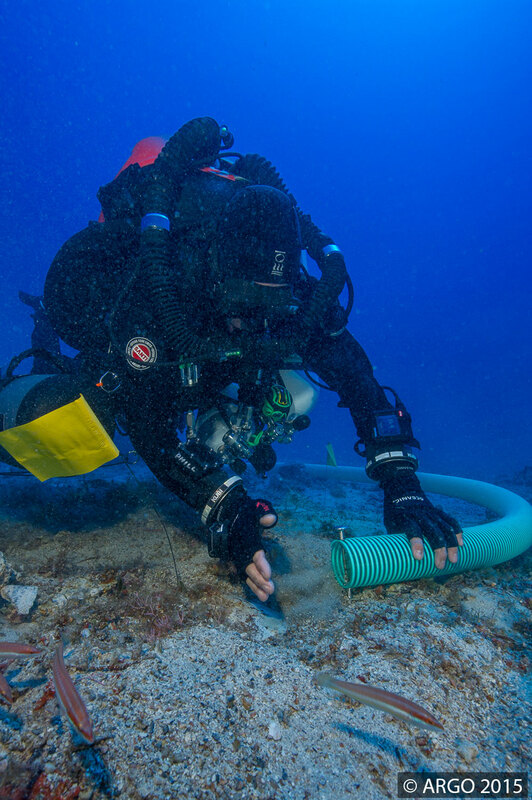 Nice photo of the water dredge in action at the Antikythera site. Note the dredge hose is pinned down with a No.10 nail so the archaeologist can gently fan sand into it. Slow going but a tribute to the care that is being taken on this important site. Photo Brett Seymour. Romantic artist’s impression of how the original discovery looked. 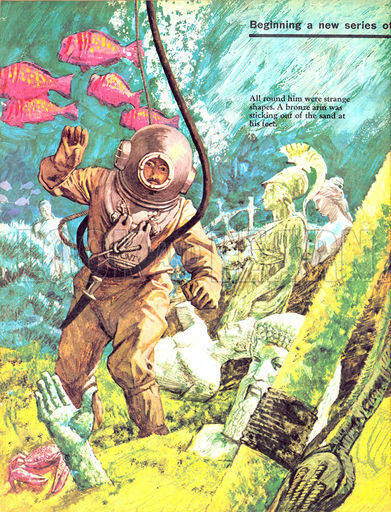 It is not known what Kondos actually saw at the time – there was no underwater photography in 1900. 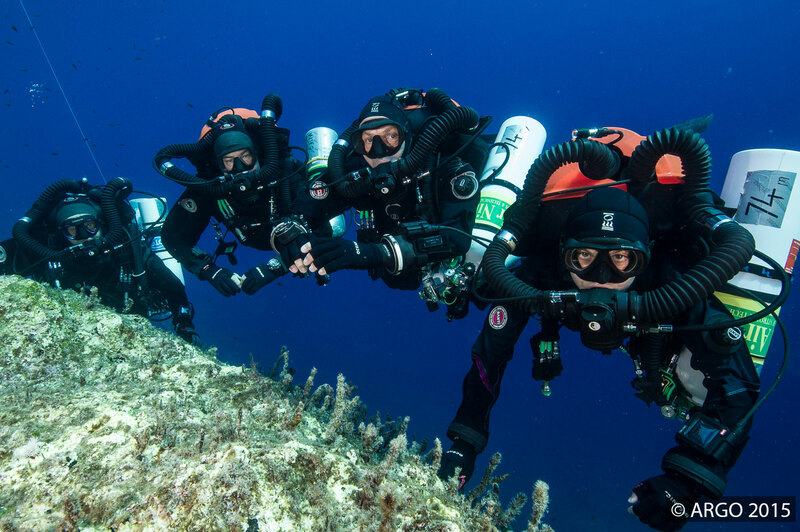 Today members of the team are sending us brilliant photos taken in the crystal clear waters off the island of Antikythera. We will post as many as we can here as they arrive from the island each day. 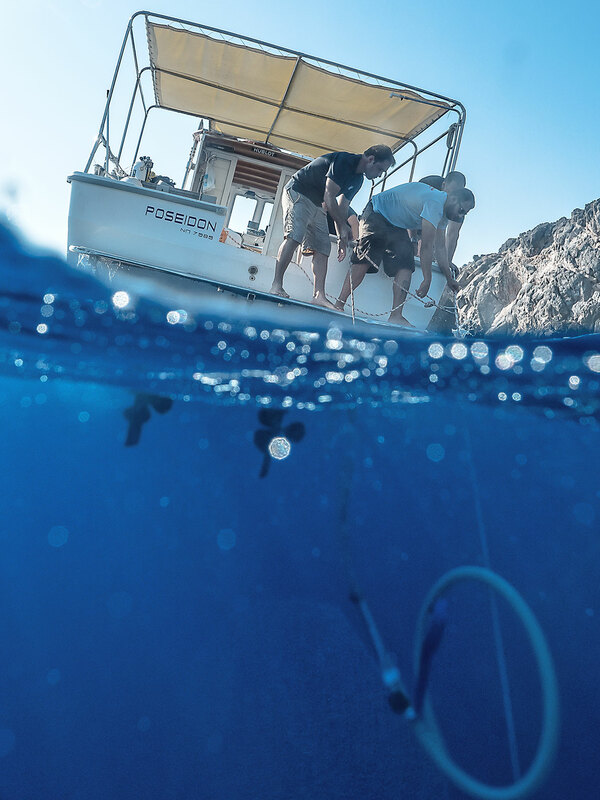 Photos are taken by project staff, general credit is WHOI (Woods Hole Oceanographic Institute). 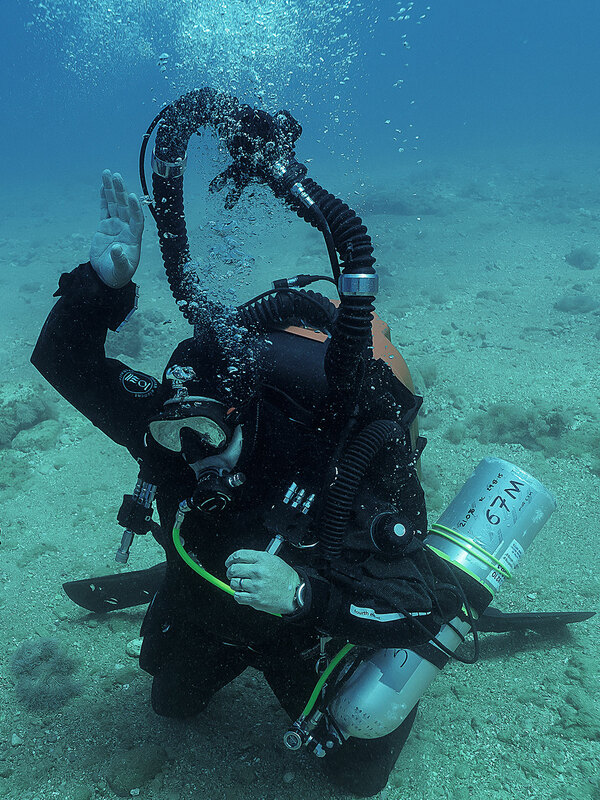 Gemma Smith photographed as she decompresses after her first dive on the Antikythera. 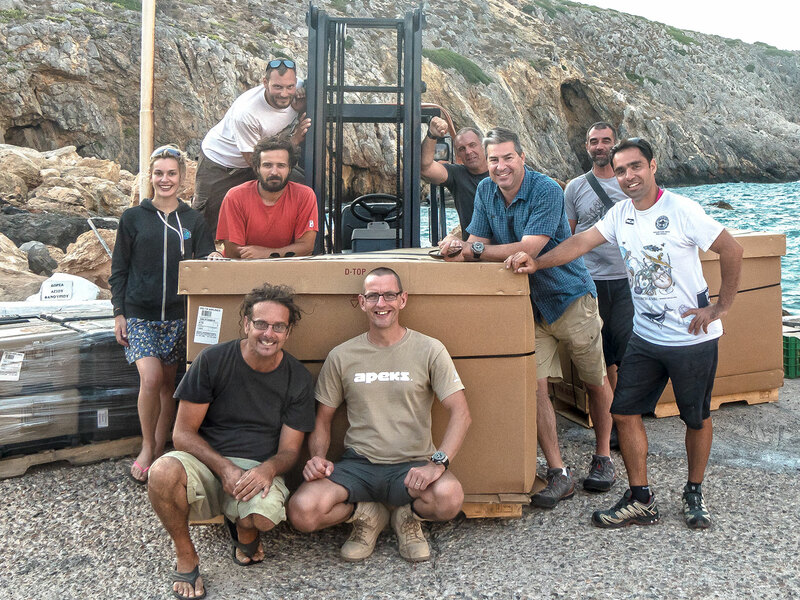 John Fardoulis notes that Gemma is the first female diver on the site. Phil Short (background), lead tech diver, was her buddy on the dive. Water dredge goes down to the wreck site. Shot of the water dredge heading down the wreck site. 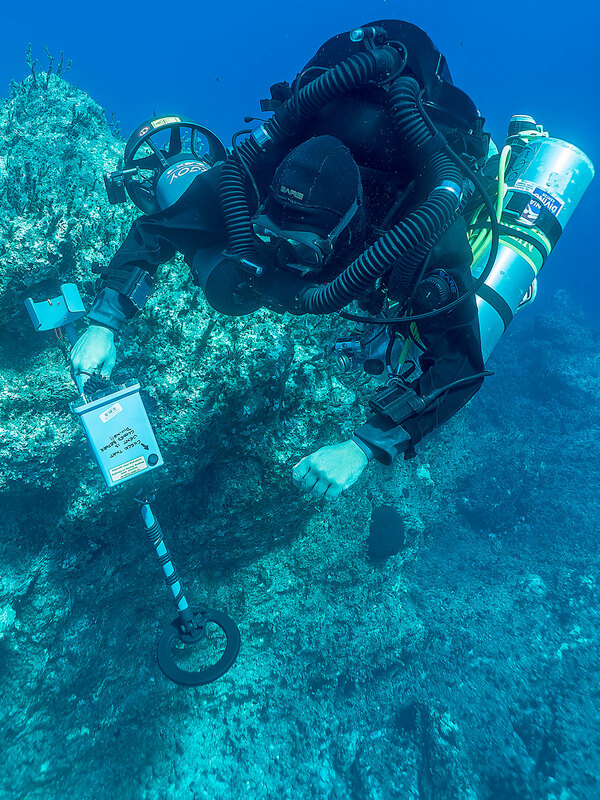 Archaeologists will use this to gently remove overburden from he wreck. Mixed gas rigs are complicated and burdensome.